Wollongong dons its finest and rides the classics for a cause! On Sunday September 30, scores of dapper ladies and gents will don their finest attire and pack their manners aboard classic and vintage motorcycles. The spectacle is The Distinguished Gentleman’s Ride presented by City Coast Motorcycles. The annual event is part of a global sensation, shining the spotlight on men’s health in over 650 cities across 95 countries on the same day. With close to 1 million men losing their lives annually from suicide and prostate cancer, The Distinguished Gentleman’s Ride is calling on the community to help prevent men dying young. Riders raise funds and awareness on behalf of the official charity partner, The Movember Foundation. The Distinguished Gentleman’s Ride was founded in Sydney, Australia, by Mark Hawwa. It was inspired by a photo of Mad Men’s Don Draper astride a classic bike and wearing his finest suit. Mark decided a themed ride would be a great way to combat the often-negative stereotype of men on motorcycles, while connecting niche motorcycle communities together. His brainchild has since raised over $13M USD for men’s health, with a goal of adding a further $6M USD to the cause throughout the 2018 campaign. Wollongong is preparing for its second year. In 2017, there were 172 registrations, $20,568 was raised and new friendships were formed. Ride organiser Jane Sim from City Coast Motorcycles is confident riders will be able to double that amount on September 30 this year. “I could not have been prouder of our inaugural event last year," Jane says. "The riding community embraced the event whole-heartedly and it was wonderful to see new friendships formed in the name of charity. We had under-estimated the numbers and ended up having to cap the registrations! 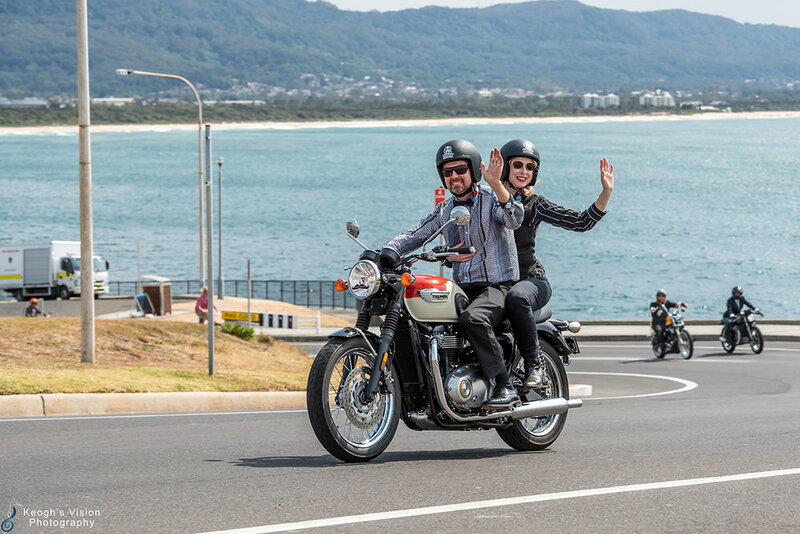 “I have worked closely with Wollongong City Council and the Wollongong LAC and secured larger venues to accommodate more dapper riders and their steeds - $1000 had already been donated within hours of the launch on August 1." In keeping with the classic lines of Don Draper’s 1957 Matchless G3LS, The Distinguished Gentleman’s Ride is a niche charity event with gentlefolk riding their Cafe' Racer, Bobber, Classic, Tracker, Scrambler, Old School Chopper, Modern Classic, Sidecar, Classic Scooter and Brat-styled motorcycles. Many riders spend months perfecting the look of both their bikes and their costumes. Fundraising rewards include motorcycles and luxury watches from major partners Triumph Motorcycles and Zenith Watches.